Beautiful Young Woman With Long Hair In Jeans Shirt Sitting With.. Stock Photo, Picture And Royalty Free Image. Image 66653315. 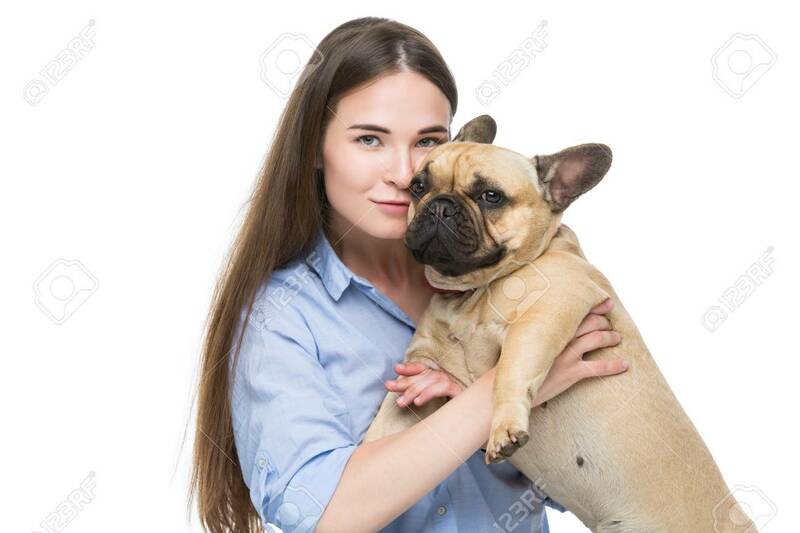 Stock Photo - Beautiful young woman with long hair in jeans shirt sitting with adult french bulldog girl. Studio shot isolated on white. Copy space. Beautiful young woman with long hair in jeans shirt sitting with adult french bulldog girl. Studio shot isolated on white. Copy space.